Tornado Tim, storm chaser and author filmed an EF4 Long Track Tornado on Wednesday, May 25th, 2016 as it hit North Central Kansas staying on the ground for over an hour and thirty minutes. Tornado Tim’s video of the first small tornado and the second larger EF4 tornado can be seen at bottom of page. 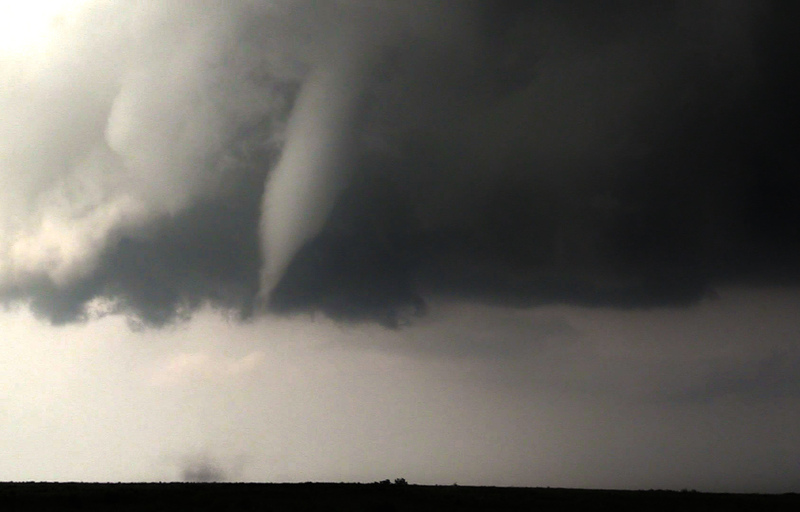 This is the first tornado we shot before the larger EF4 tornado. As this tornado roped out we drove under it and looked directly into the funnel. Little did we know that this was just the beginning of our chase. 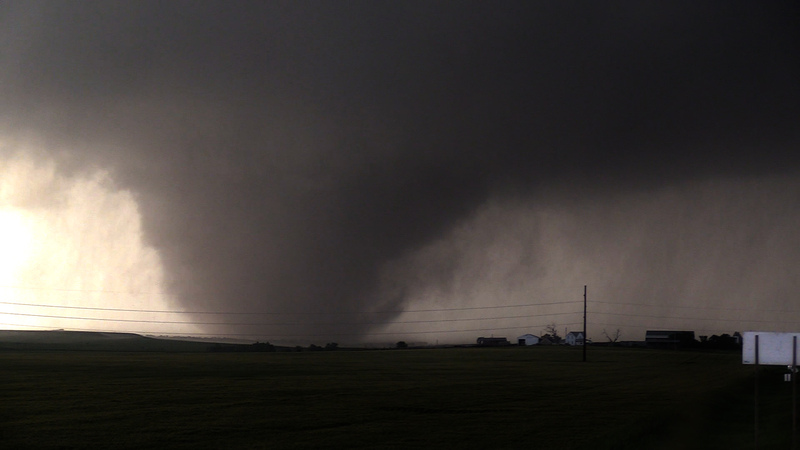 I didn’t think at this point the storm would go on to produce the longest lived tornado I ever filmed. 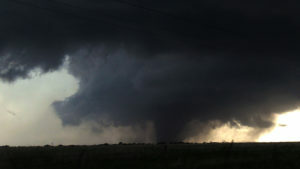 This was the second tornado of the evening and the strongest. The tornado moved mainly east across Dickinson county, but as it approached Chapman, turned to the southeast just missing the city. EF4 (violent tornado) damage was noted just southwest of Chapman where a farmstead was completely destroyed.